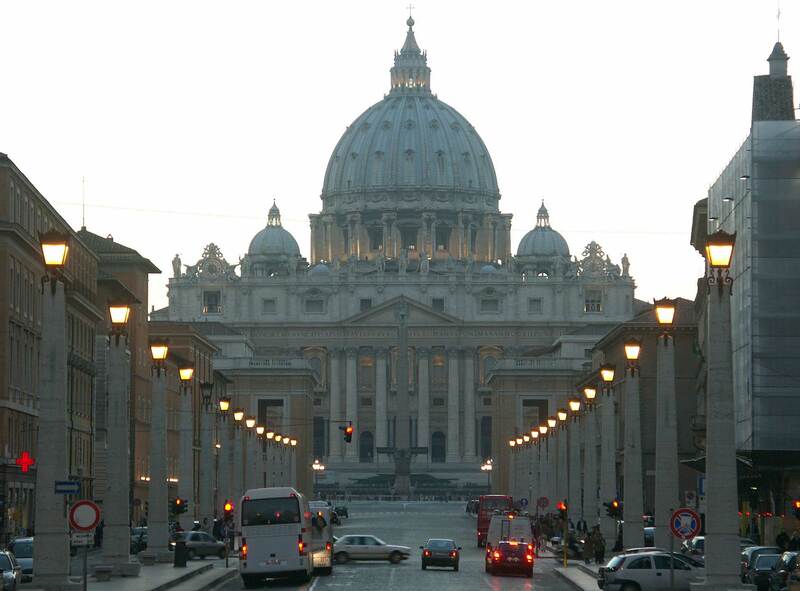 View from Via della Conciliazione to Saint Peter's Basilica, as it appears today. The exposition proposes a trip back in time following the steps which lead to the Basilica san Pietro, showing the inner changes within the area from the ancient times to the Jubilee in 1950, when the urban fabric was completed. In such a significant year for San Pietro, with a huge number of pilgrims walking across via della Conciliazione, the exposition promoted by Roma Capitale – Sovrintendenza Capitolina ai Beni Culturali together with Zètema Progetto Cultura, monitored by Laura Petacco and Claudio Parisi Presicce. The showing “La Spina. Dall’Agro Vaticano a Via della Conciliazione” evokes places which no longer exist today, but which over the years have kept the historical memory of the events which led to the current configuration of Rome, both capital city and symbolic centre of Christianity. The central theme of the showing is the Spine in its double meaning of toponym, originated from the particular shape of the block during the Renaissance, and of “foreign body”, which in sooth has been taken away from the original connective tissue of the city through demolitions. Both the destruction of La Spina dei Borghi and the opening of Via della Conciliazione represent a tangible proof of the term of the former clash between State and Church in the modern Rome, ended because of the Patti Lateranensi: they modified the visual of the Vatican even under a symbolic profile. First of all, a topographic frame of the area will be explained through historic and audiovisual cartography: then, a sharp telling of the life phases and employment of those places will be provided, firstly through archaeological finds, then exploring artwork, isolated fragments of frescos, paintings and photographs.